I spend a small fortune on books, biographies in particular. It doesn’t matter whom the published manuscript is about or written by or co-written with, I’m just drawn to them; they call my name, HEATHER, read ME. And in a way, they’ve become my drink, like a big glass of Château Lafite that always gets better with age, needing no introduction. With that, Keith Richards entered my life two weeks ago via his memoir, LIFE. I’ve never been a Rolling Stones connoisseur, so I didn’t buy his book; I borrowed it—from the library. He was referring to a house: charming, not grand; a thatched, Elizabethan farmhouse surrounded by a moat, located in West Sussex, called Redlands. According to Keith, he was driving around in his Bentley with a list of homes available for sale, and a blasé mission: “Oh, I’m going to buy a house today.” He took a wrong turn and ended-up in the drive of Redlands. An older man there gave him directions and then asked Keith if he was looking for a house to buy. To which Keith replied: Why yes, I am. The owner of Redlands told Keith, if he cared to, he could buy his home. “Because I fell in love with Redlands the minute I saw it,” Keith asked, “How much?” The owner responded, “Twenty grand.” This was around 1 pm and by that evening, after retrieving “the bread” from a London bank, putting the loot in a brown paper bag, “I was back down in Redlands, in front of the fireplace, and we signed the deal. And he turned the deeds over to me. It was like cash on the barrelhead, done in a really old-fashioned way,” he wrote. That was in 1966, and today, he still owns that thatched-pad on Redlands Lane. Now, I can relate to that! 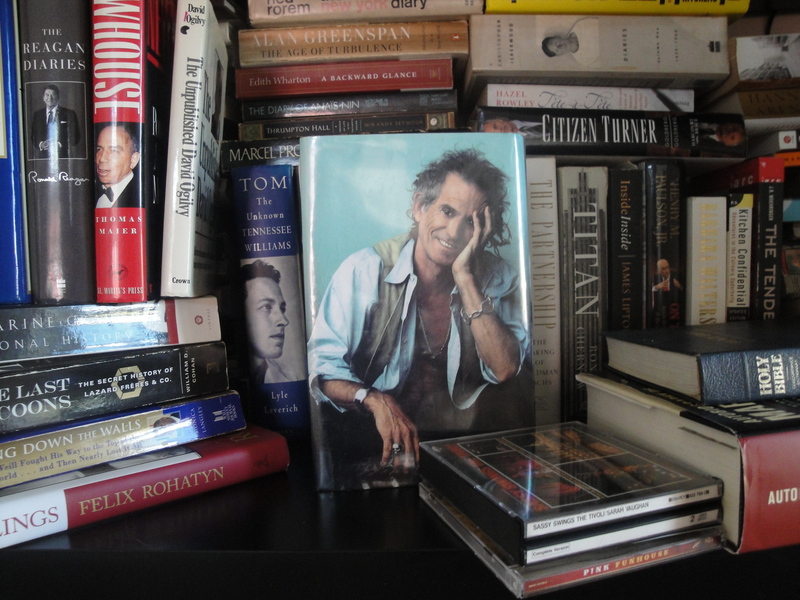 It was after this, that I started to read between the bass-lines of LIFE, no longer focusing on the treble-line chords in the key of “H,” realizing that Keith Richards is an old soul—with music, homes, books, people; sincere and true to the artistry in LIFE, like I am…in a far-off-way. And of course, I’m nothing like a famous person or gifted guitarist-songwriter, but I do feel a kinship with the man, now that I have read his book. 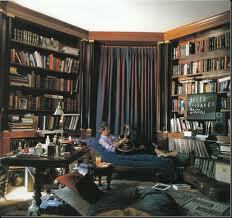 And now, I need to buy LIFE for the humble shelves that line the interior of my abode. Manhattan Hotels* over the decades, referring to them as “home,” before moving into Penthouse #1109 located in the Silk Building, 14 East 4th, which just so happens to be on the market today for $4,895,000.00 (post Keith, Russell Simmons and Britney Spears have been owners of this unit, too). CLICK HERE for the listing details. Today, he’s no longer living on the island of Gotham. Since 1991, Keith and his family have called, in jest, “Camelot Costalot,” their permanent residence, located in Weston (Connecticut). *3.7.14 Update: Keith and his wife just boomeranged back into NYC purchasing a four-bedroom penthouse on lower Fifth Avenue in Greenwich Village. Previous O mio Apthorp caro! Enjoy this thoroughly my dear. Nice work! Great post, Heather! Absolutely same here on the bio’s and Keith’s was so hard to put down. The tale about Redlands is priceless! On another note, I have just finished Anthony Kiedis / Red Hot Chili Peppers bio, never having been a big fan, but a great read also with fun real estate deals. You should download Keith singing “Losing my Touch” – brings tears to the eyes!